We are available on a per event basis. Not all events will work for our venue. 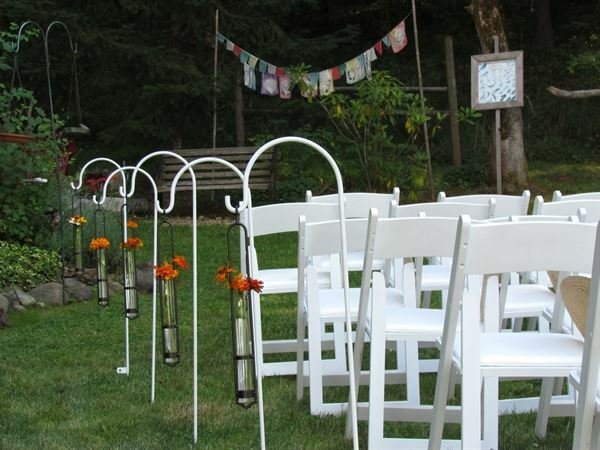 We currently have some loosely set packages for elopements and a couple for weddings. We have no indoor facilities, a tent is required for all wedding events. We are on a septic with limited capacity parameters; porta-pottie rentals are required for anything over our treehouse guest capacity. Set in an expansive landscape of gardens, lawns, and pastures, the Hanley Pavilion offers a unique country setting for: - Weddings - Engagement Parties and Rehearsal Dinners - Family Reunions - Company Picnics And More!